Presidential candidate Sen. Ted Cruz, R-Texas, announced his presidential bid at Liberty University, a well-known conservative, Christian college founded by Jerry Falwell. It’s a testament to his faith and Southern Baptist roots that have kept him grounded throughout his life. U.S. Senator Ted Cruz, R-Texas, with his wife Heidi and their daughters Catherine and Caroline, as he announces his candidacy for the presidency at Liberty College in Lynchburg, Virginia, March 23. 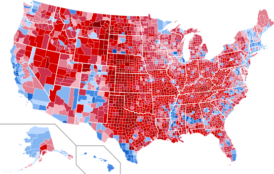 “Today, roughly half of born-again Christians aren’t voting. They’re staying home. Imagine instead millions of people of faith all across America coming out to the polls and voting our values. From the dawn of this country, at every stage, America has enjoyed God’s providential blessing. Over and over again, the American people rose to the challenge. The power of the American people when we rise up and stand for liberty knows no bounds. God’s blessing has been on America from the very beginning of this nation and I believe God isn’t done with America yet,” he said during his campaign announcement. “Tonight, we are all united in defense of Christians. Tonight, we are all united in defense of Jews. Tonight, we are all united in defense of people of good faith, who are standing together against those who would persecute and murder those who dare disagree with their religious teachings,” Cruz said at the inaugural summit dinner of the group In Defense of Christians. “Christians have no greater ally than Israel,” he said before being booed and heckled by some in the crowd.